Associations depend upon maintaining a vibrant membership base. 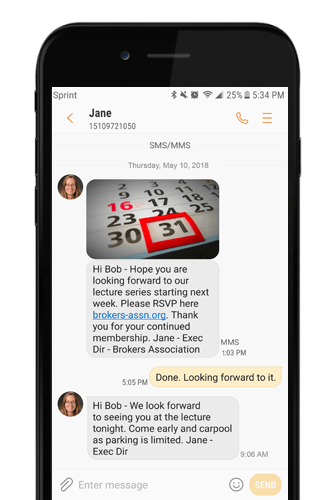 Textellent can help by providing a more intimate communications strategy to keep members connected and keep the association top of mind. You can text out event updates, encourage RSVPs, invite feedback and making sure members stay informed on association activities. It is an invaluable tool for keeping members engaged and encouraging two-way communications with association management. See what Textellent can do for you. Take advantage of our Risk-Free trial.